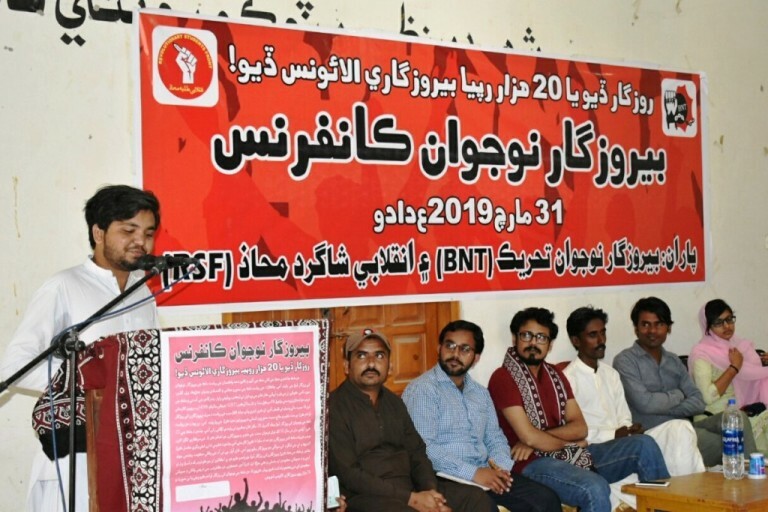 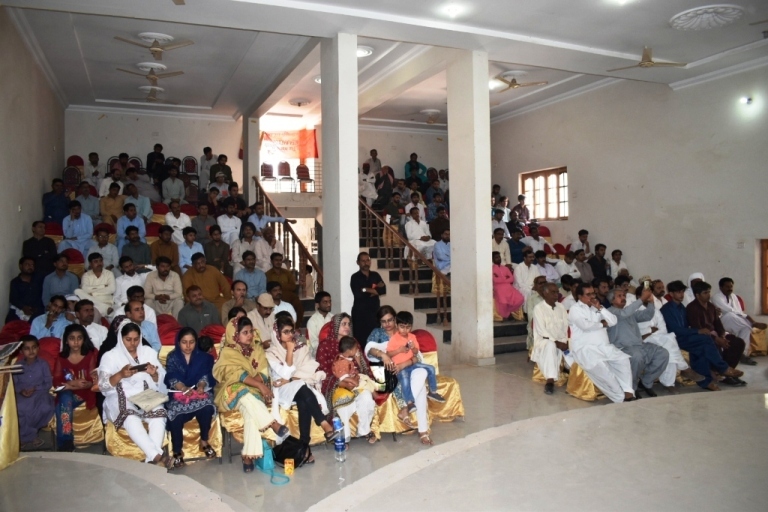 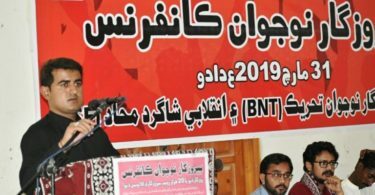 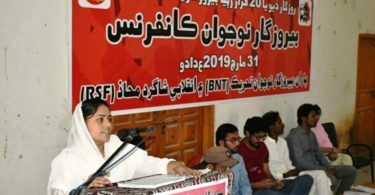 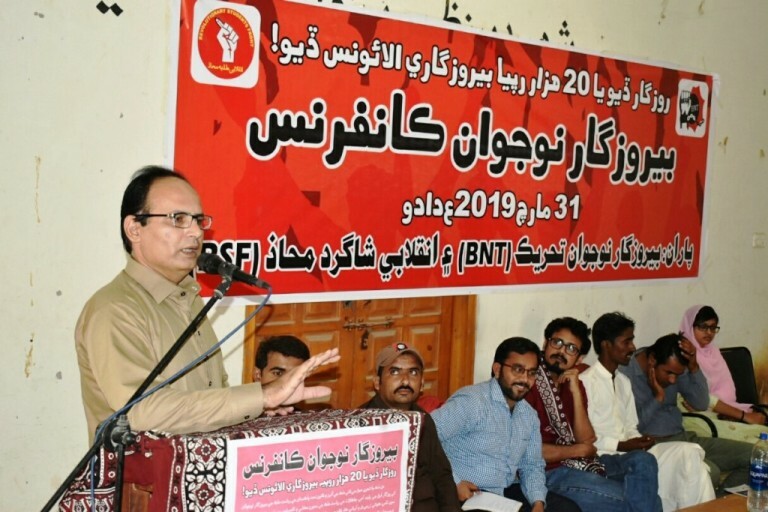 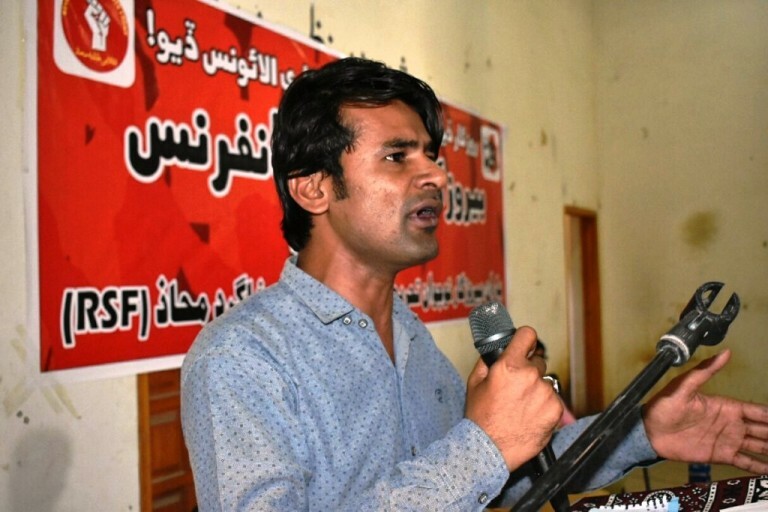 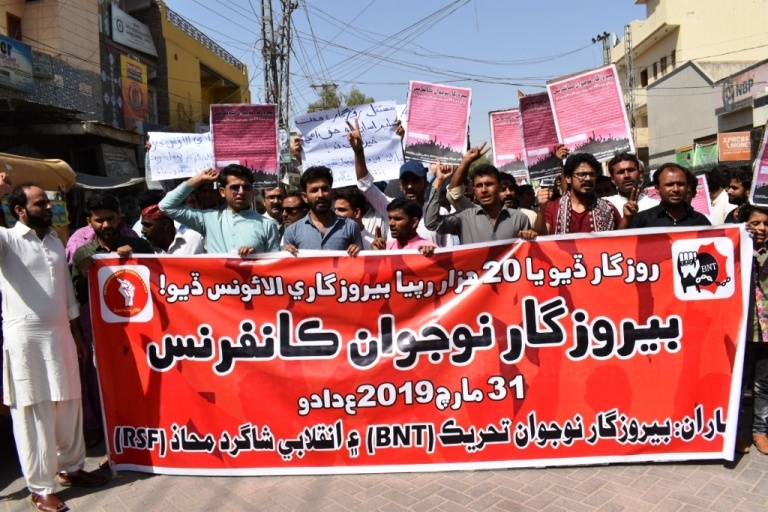 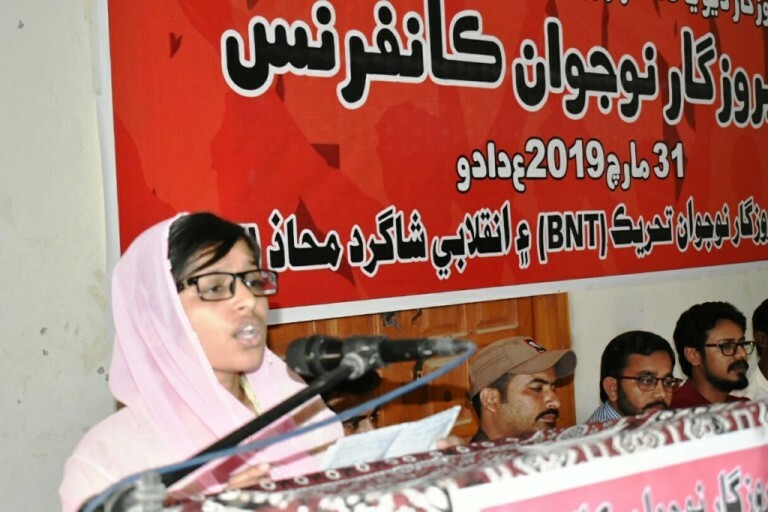 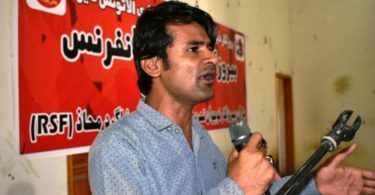 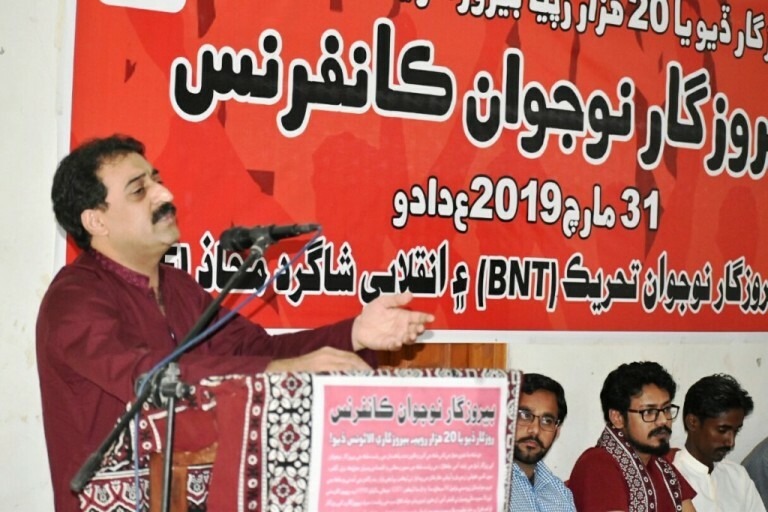 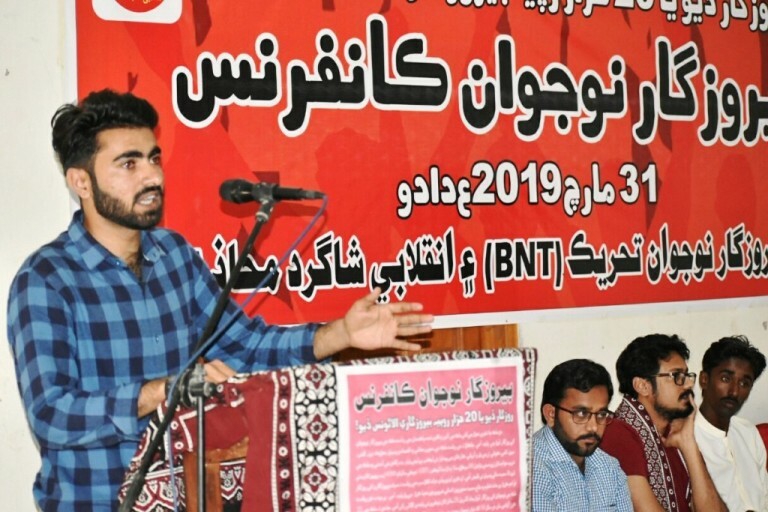 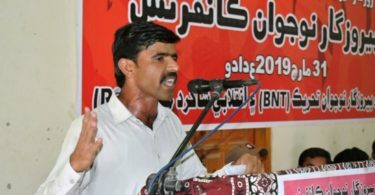 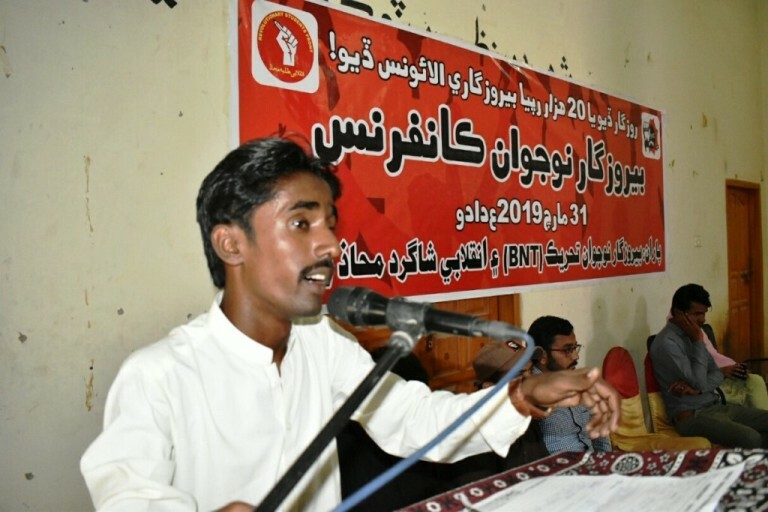 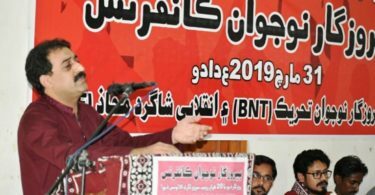 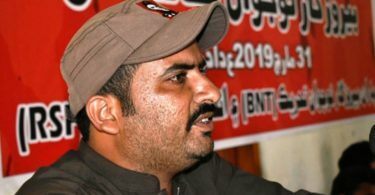 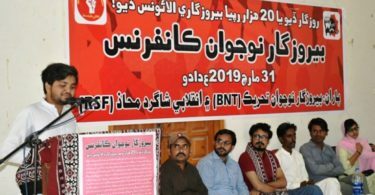 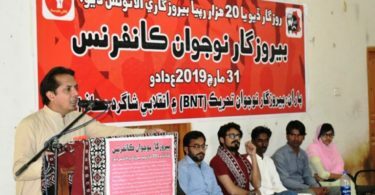 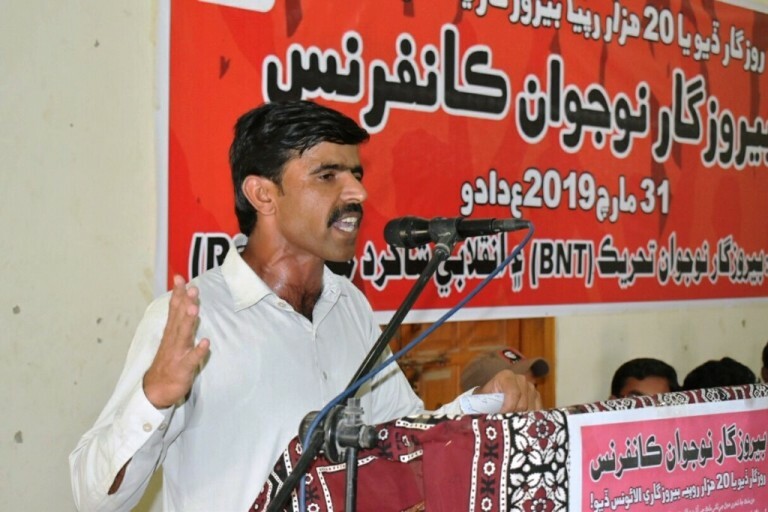 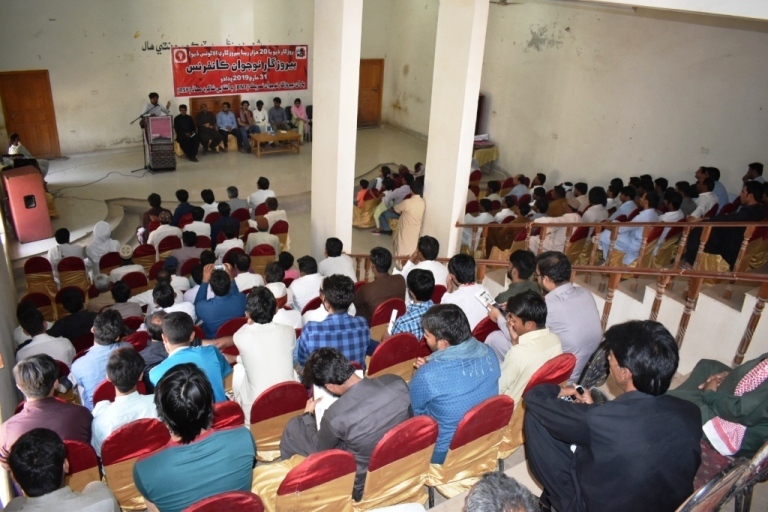 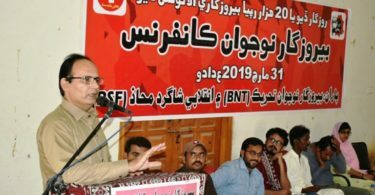 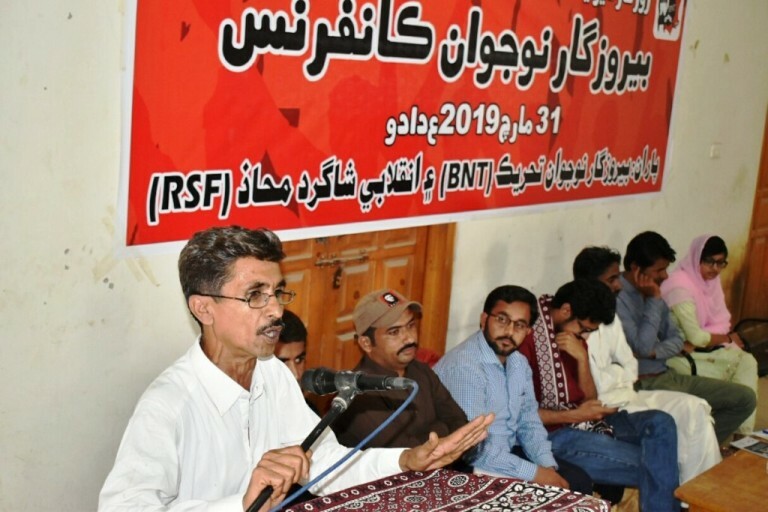 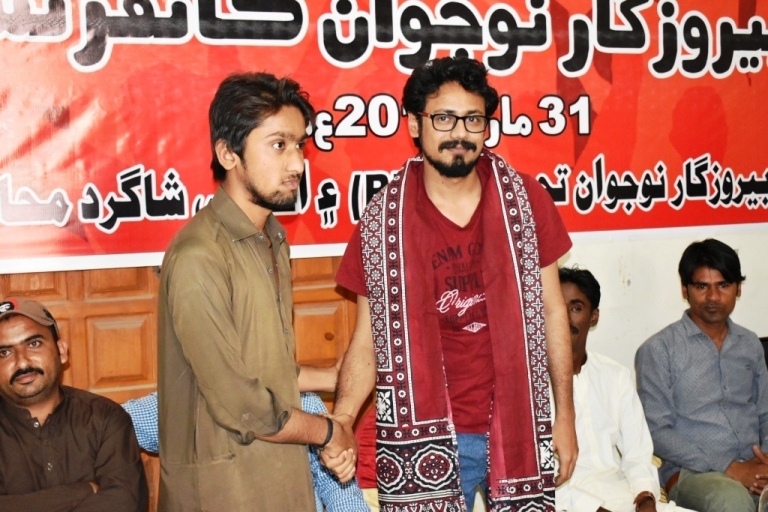 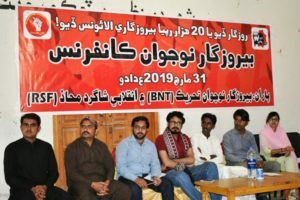 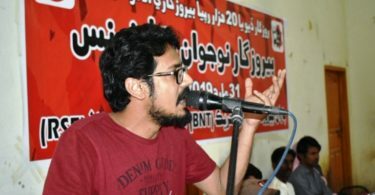 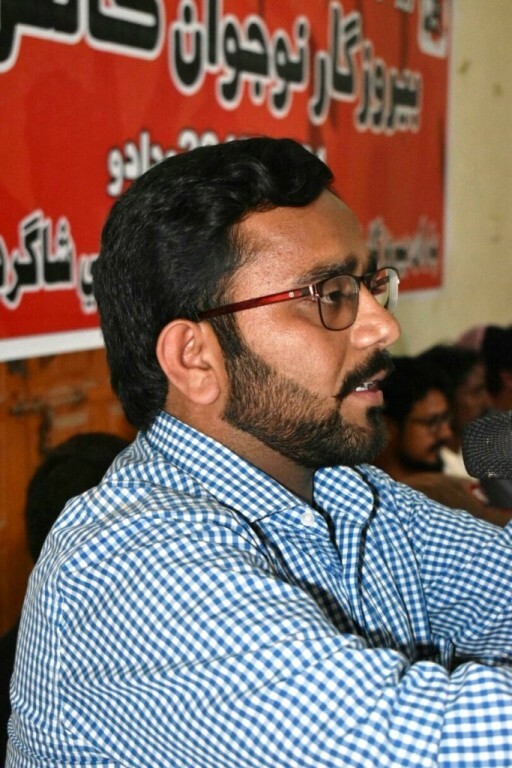 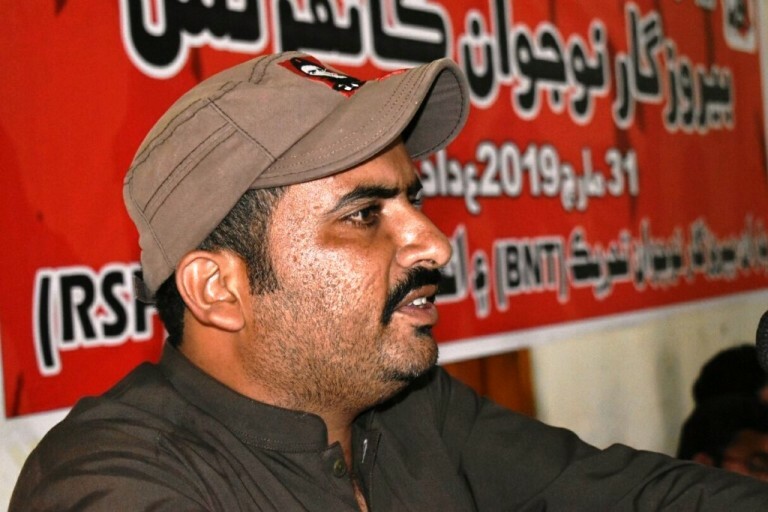 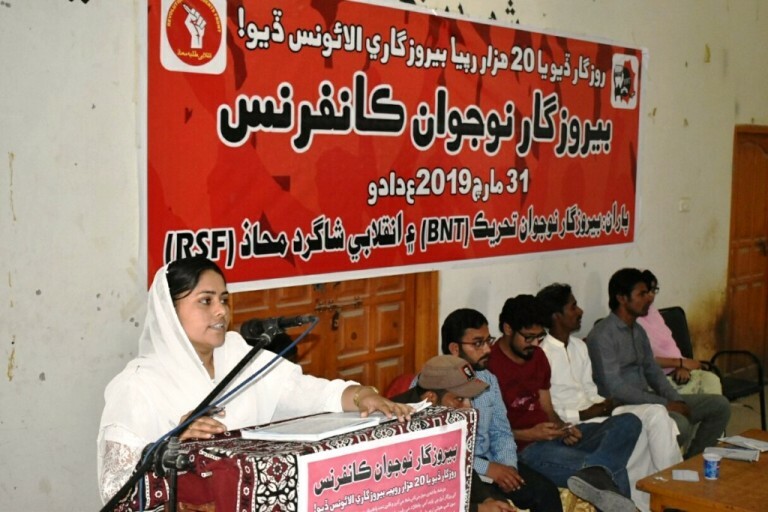 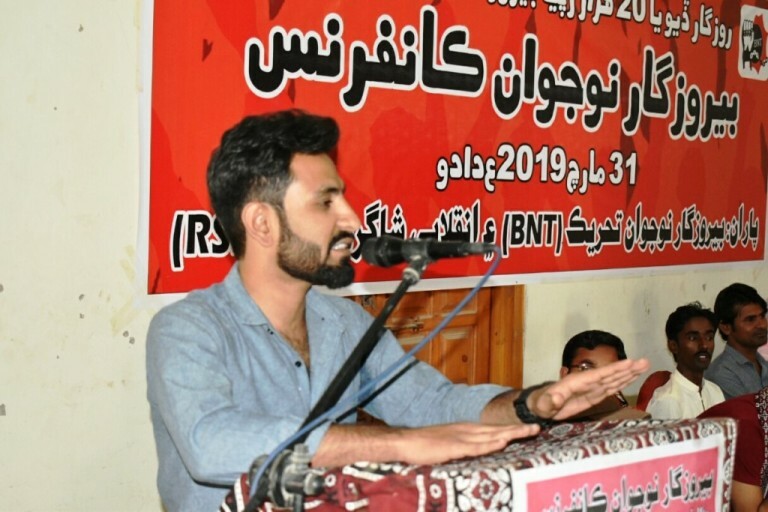 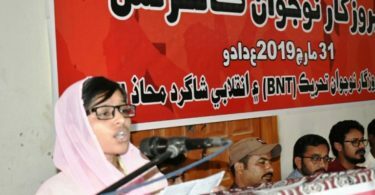 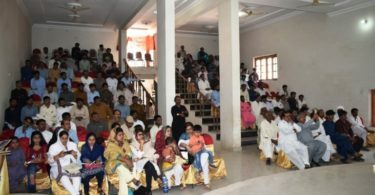 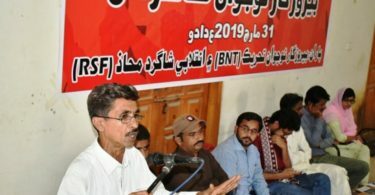 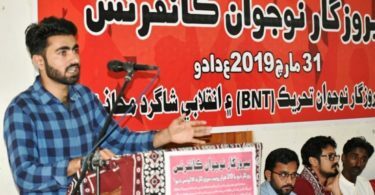 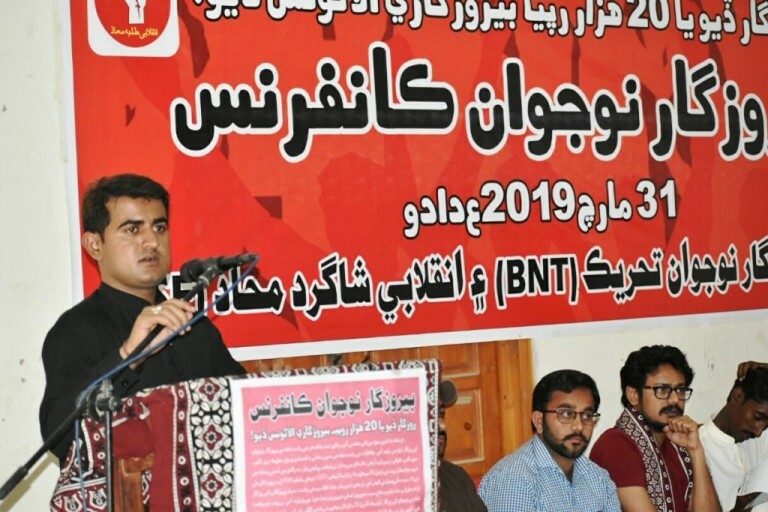 On 31 March 2019, Unemployed Youth Movement (BNT) and Revolutionary Students Front (RSF) organized a conference at Dadu press club. 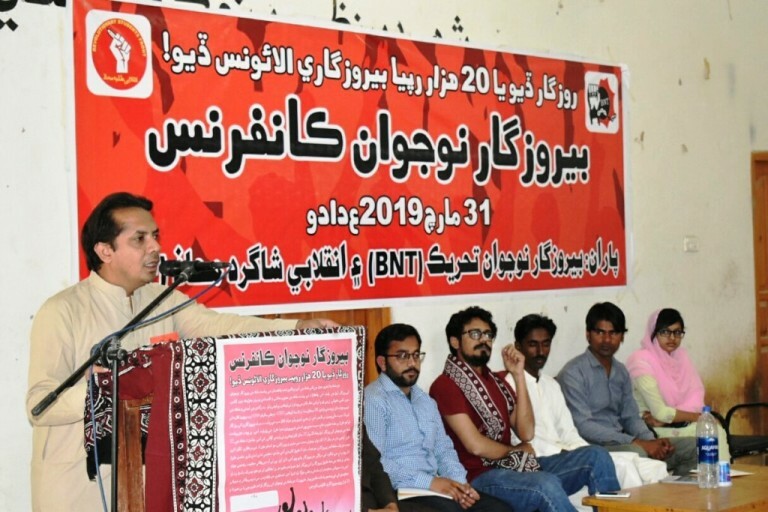 The conference was presided by BNT Sindh Organizer, Rameez Misrani and Chief Guest of the conference was Awais Qarni, Central Organizer RSF, who came from Lahore. 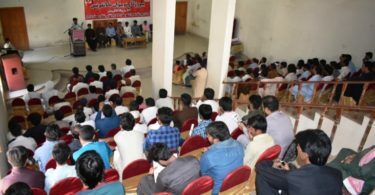 A large number of Studnets, Youth and Comrades from Dadu, Sukkur, Shadadkot, K. N. Shah, Khairpur, Nawabshah came in the conference along with the students’ leaders from Hyderabad, Jamshoro and Karachi. 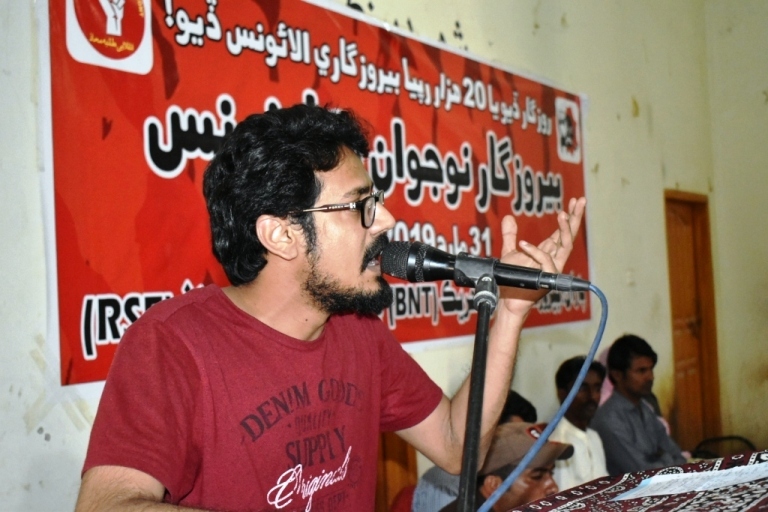 Sadam khaskheli welcomed all the participants in his opening speech. 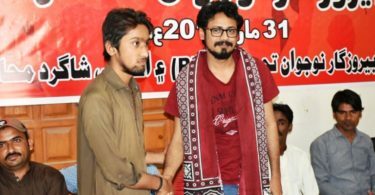 Tarique panhwer, on behalf of the Sindh University students, presented a gift of “Sindhi Ajrak” to the Chief Guest, Awais Qarni. 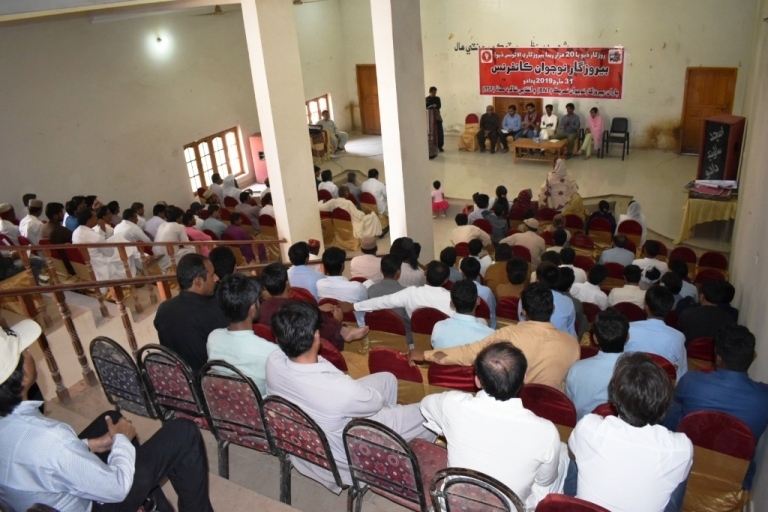 After the opening ceremony, the conference formally started. 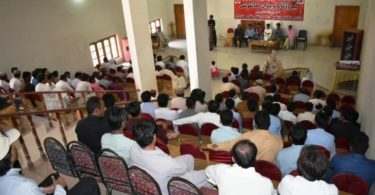 Speakers addressed in conference that It is the primary responsibility of the State to provide reasonable employment to the youth, but this parished economic system and government is unable to provide employment to millions of Pakistani youth, even other basic needs i.e. 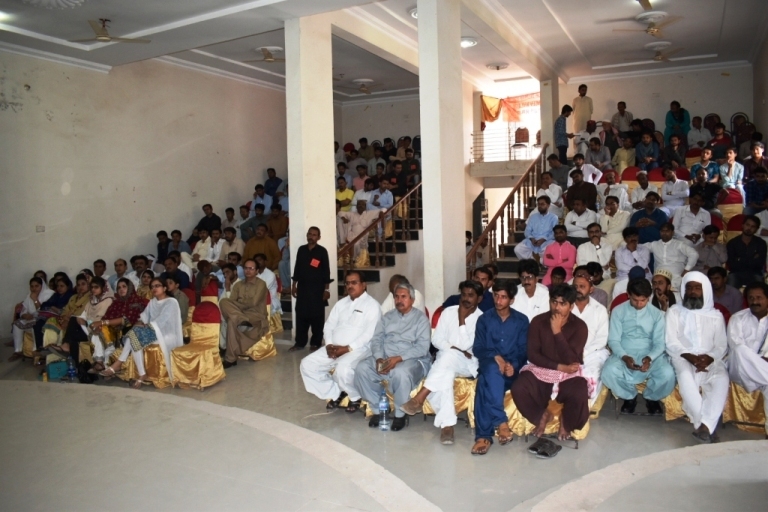 health, pure water, and free education are out of the reach of majority masses. 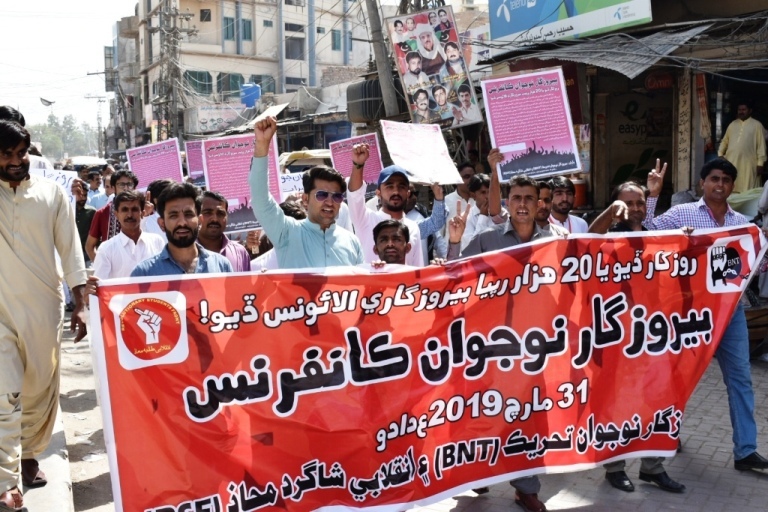 Inflation is rising with the capital’s deepening crisis. 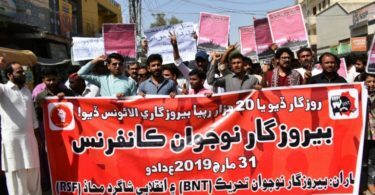 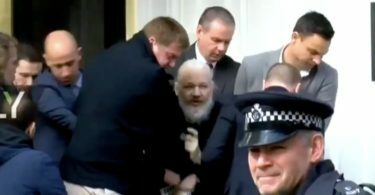 Like previous government, the current government is following the same reactionary practices by implementing the policies of privatization, that further increases the unemployment and deprives the masses from the basic necessities. 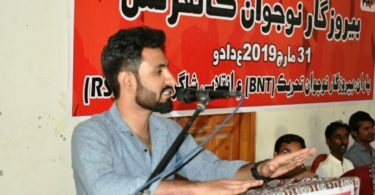 The present fraud government has betrayed the youth and masses, they promised one crore jobs and 50 million houses in the election campaign but on the contrary, the houses were smashed and millions of the jobs have been lost. 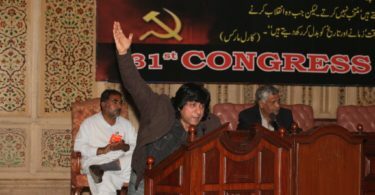 These are the mere symptoms of capitalist crisis which has left no capacity to be reformed. 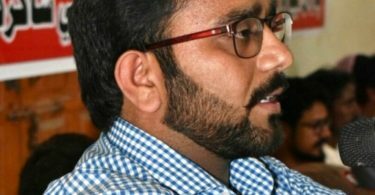 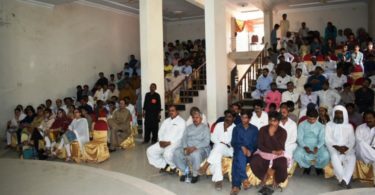 On this occasion, the youth demanded employment or at least twenty thousand rupees as unemployment allowance, similarly demanded free education and restoration of students’ union. 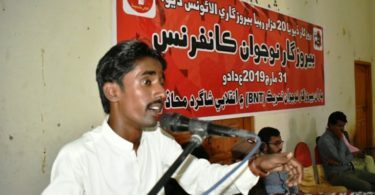 Speakers urged to revolutionize and mobilize youth to fight for their rights. 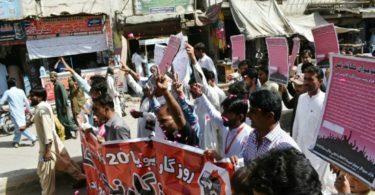 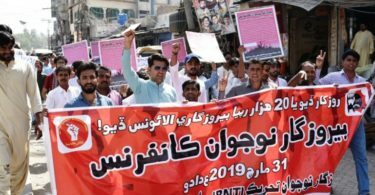 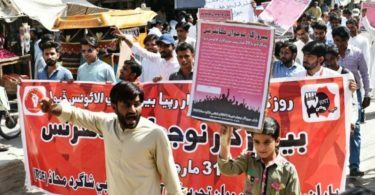 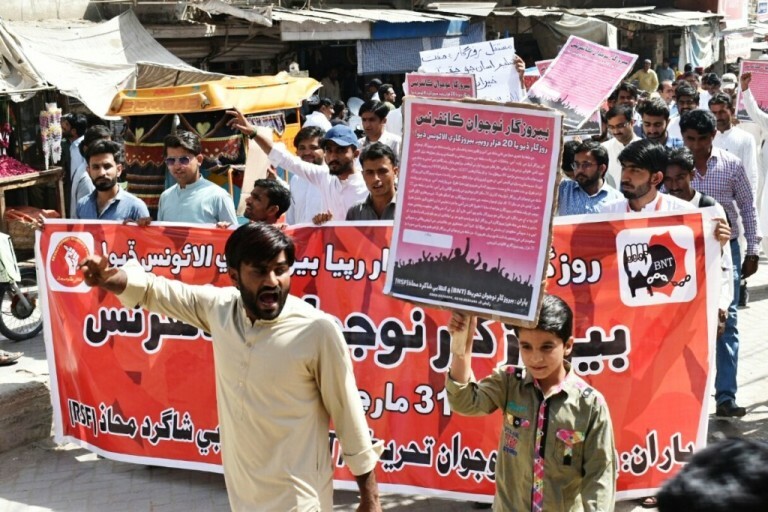 After the conference, a protest rally was carried from Dadu Press Club to Cinema Chowk, the slogans against unemployment, inflation and privatization were rised.